When I first began Monday Notes, I had 221 thoughts written down. In fact, I began Monday Notes for that very reason. I thought it would be a way for me to purge and delete. Well, months later, as of the day that I’m writing this post, I have 358 notes. That’s 137 more than what I began with! #1: Remembering things that we want to buy. Dwight and I recently purchased a home and realized that certain furniture must go, like sofas and such. Of course, that means that new furniture must be purchased. Eventually, it gets to be too much, and I whip out my phone and start taking notes. Maybe I should’ve just added them to a Pinterest board. #2: Future Facebook posts. There are a lot of passive-aggressive, petty people on social media. They range from the chick who broke up with her boyfriend and kinda wants you to know, but doesn’t want to tell all her business, to the guy who wants you to know that he makes a lot of money, so he shares an image of his check (real story). I don’t want to be like that, so instead of posting my first thought about my life, I just write a note. #3: Current projects. I always have something that I’m working on. Currently, it’s an anthology that includes all women writers, who share similar challenges. My notes section helps me keep things straight, such as who needs a revision, who hasn’t responded, where the copy editor is, and when I’ll begin marketing. I’ve seen apps for these types of things, but I just can’t stand to download one…more…app. #4: Students who do not participate. Three of my classes are online. As I evaluate work, I also keep notes on who hasn’t participated so that I can see if there’s a pattern of behavior that I need to mention to them. For example, if Suzie hasn’t completed Quiz #1 and Discussion #5, then I reach out to her and remind her of these things. I could just filter the online gradebook, but I find keeping notes way easier. I just have to remember to delete them when the semester is over. #5: Blog ideas. Oftentimes, I read other blogs and become inspired by what they’ve written. This happens frequently. 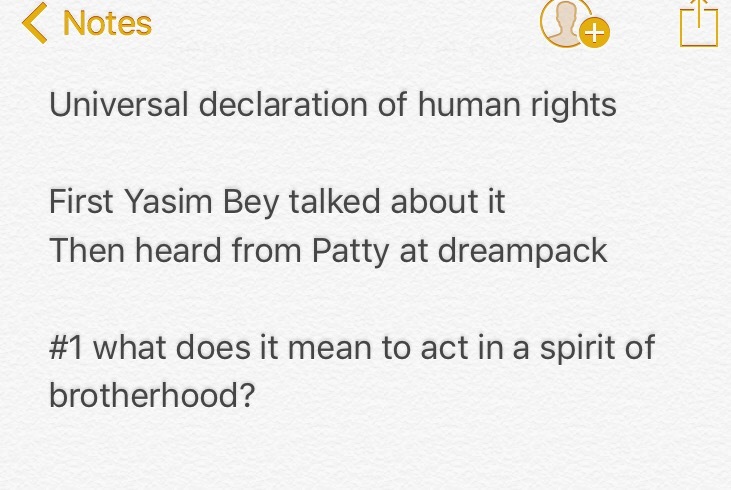 In order to actually ponder and write about it, I keep notes on what was said and by whom. My intention really is to write as an extension of their thoughts, but it rarely happens. #7: Stuff people have asked me to read, watch, or listen to, like this YouTube channel/show my oldest daughter asked me to watch…in August. It’s called Africans, African Americans, and West Indians. I wrote it down, with the best intentions, but here’s the thing. People are always suggesting I read, watch, or listen to something. Many times, I just don’t make time to do it. I’ll either get better about actually doing it, or better about telling the person, I’m not interested. Either way, I need to delete the note. Do you use your Notes section or something similar? I’m starting to feel like a digital hoarder. Is that a thing? As you comment, I’ll be cleaning out the 2,000+ photos I have stored on my phone. Birthdays that I’ve forgotten — oops! Aaah! Okay. You forgot, even though they were in your notes for that one. I’m a digital hoarder. I write in my Note screen, my Scrivener app, and I text or email myself. Prior to reading this, I had a blog idea that I scrambled to write in my phone. 2 iPhones full of pictures??? Man. It does, right? Let me know what you think. I’ll be watching it next month when I have some free time. 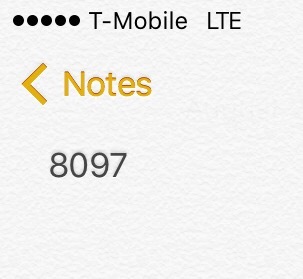 I use notes on my iPad. Mainly because I can remember nothing lol! lol – funny you should mention cards. I actually also have two bags full of cards that people have given to me smh I can’t bring myself to throw them out! I have fewer notes than you but still have too many. Thanks for the reminder to clean things out. Happy Thanksgiving! I meant to answer your post but got so caught up in the festivities. For some reason I thought my laptop would just take care of all the notes and pictures without much purging from me but I am sadly mistaken for it’s just as hard to clean up my notes and things or maybe even harder for I still write down things on paper even though with PD that is harder and harder to do. Notes and memo on the PC are hard enough… who knows how many files I made thinking this would make things easier. Ps your posts really make me happy. Thanks, Kathy. I can relate with the keeping of notes, and on top of that I’m a list freak. 🙂 My notes used to be scattered everywhere, e.g. notebooks, sticky notes, phone, back of cash slips, etc. But thanks to Trello for helping me keeping them minimal and organised. p.s. I still carry a notebook in my handbag for poetry and story ideas. Oh, the madness! I am THE list-woman…once a week a shopping-list. And then several to-do lists. List what I need to do today, list if I have time left what I would like to do on that day. List of things to do, that don’t need attention immediately. List of bloggers I follow on a weekly base (you are twice on that list). List of menu I serve my dog (she gets natural raw food, I need to keep track for the balance what meat she gets when). List of little wishes I gather all year, so like now for Christmas I can turn in a small list. I can relate to leaving Longreads stories in my email, and eventually (sadly) deleting them when they start to pile up. And months old movies i want to see, or ideas for essays i want to write, gathered in a pile on the backs of envelopes or tiny scraps of paper. Re furniture, everyone needs some nice piece of furniture or even an accent bowl, that is red. I don’t know what it is about red. I’ll make a note to find out lol. I saw this post earlier in the week, but restrained myself from speed reading through – as always, your posts are to be read slowly and savored. Thanks for being on the planet. Awww I’m glad I’m on the planet with you too! Aaand, I over-love red…like for real. I have red everythings. That’s it, I’m getting a red bowl for sure. Maybe it’s because the heart chakra is red? Idk…all I know is I’m craving red hard lol. Ha! Heart chakra is green. Red chakra has something to do with roots, so you can either be desiring to be connected and feel safe, or you already feel connected and safe…Either way, I’m all for the red bowl! I keep a paper and pen list of things. There’s something reassuring about seeing it that way. lol – I do, right? Yeah, I don’t know what I’d do without my phone girl! I like your notes ideas. I normally write notes in a notebook, in which as time goes by, the pages will began to fall out. Most of the time, I use Evernote. I just have to remember to delete. Great post! I’ve heard Evernote is pretty good. That dang Suzie is always up to something! I use my notes the same way, taking down ideas and suggestions and making lists. But I feel like the grocery lists are ofttimes the only things that get read, revised and/or deleted. LOL You’re going to hear that from me from now on: ‘is it today or tomorrow’??? lol about your punchy pitch! I wish everyone was just as discerning! i don’t write any to do lists – though i wish plenty of times i would, just to keep things straight. but i do make random files of ideas, for posts, stories outlines, a phrase i want to write on a particular article. but like your numbers, i sometimes forget about them and when i find them i have no idea what they are. I love these posts Dr. G! It’s like a sneak peek into the mind of a creative genius. Simply adorable! Kathy, I love your notes. You’ve inspired me because I don’t write enough notes. I carry a lot of repetitive, extraneous thoughts of things not to forget – writing that down could be very freeing. Thank you! ps. You insights always give me a chuckle, too. Love the one about someone seeing something from only their perspective and getting mad. So typical! Awww thanks Judy! I’m glad you’ve been inspired 🙂 and lol about your perspective comment…we all seem to be guilty at one point or another. I use journals and notebooks. Guess I’m a bit old fashioned. 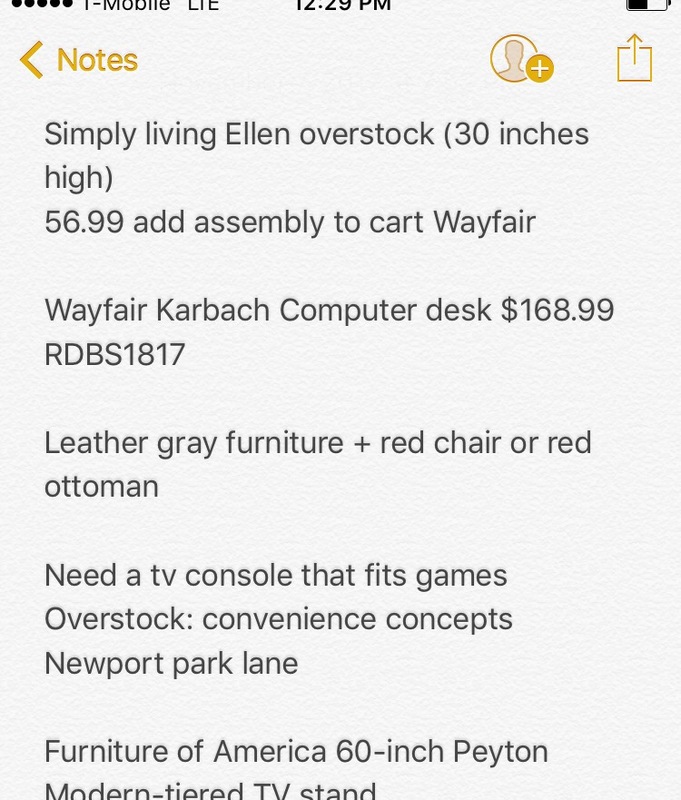 Housing – I need to move to a less expensive place and get my furniture out of storage. The current rent is too high and I need must find affordable housing. Working on that constantly. Must pay a visit to the CAR. Since I’m a U.S. ARMY VETERAN hopefully they can help me. Considering getting my ESL Certification. I have a B.A. in English Literature but I need more credentials. Also thinking of creating a course on Professional development along the lines of Workplace Development and Professionalism. From what I see at the workplace such a course is sorely needed. Facebook – Now I only use Facebook for my Photography Blog. Actually I programmed my Photography Blog to automatically upload newly published blog posts. Otherwise I stay away from the negative drama. As my parents used to say, Don’t put your business out in the street. I rarely date but when I’m in a relationship it’s not up for discussion on Facebook. That’s disrespectful to both of us. Way too much sharing going on these days. First of all, I soooo miss your blog! Okay, now that’s out of the way…a lot of people still use journals and notebooks. I use them for gratitude primarily and sorting out what I want to manifest. I do hope your housing situation works out. Having to worry about a roof over your head is no bueno. ESL cert would be cool, I think. It might open some doors (I mean if you want some doors opened). Uh..I agree about a workplace course. People of all ages and ethnicities need some direction in this area. Are you on Instagram? You might find that helpful for your photography because it’s ONLY photos. And if you are, give me your name so I can follow you there. Thanks for your kind words and interaction. I appreciate it. Thanks. Fortunately I have a large archives that should sustain readers. Once I can afford a new laptop and I have more free time my writing blog will return. In the meantime I concentrate on the photos. Yes I am on Instagram as palmtreesplanet. I will investigate the ESL CERTIFICATION Opportunities. I look forward to transferring my work and education skills to the education field. Even in my retirement I want to be useful and contribute to society. Actually it’s funny since I stopped posting to my writing blog I’ve gotten more subscribers than when I was posting! However I’m sticking with the photos since it’s a lot easier than writing. Plus now I’m typing on my cell phone which is incredibly difficult. I need a working laptop with a full size keyboard. But right now any extra money via overtime will go towards my retirement plans. Should a laptop miracle occur in 2018 and somebody gives me a laptop with adaptive technology for my poor eyesight then I can pick up where I left off. I have a blackboard and a whiteboard at home. On one, I write ideas for stories, poetry and on the other, a “to-do” list to keep me sane. For my passwords, I have a little black book which I hide in case someone breaks in and wonders where my little black book is!